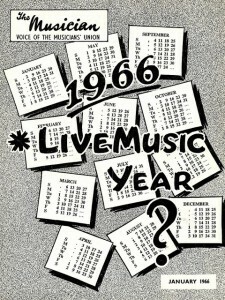 The January 1966 edition of The Musician contained an extraordinary account of the ‘beat scene’ in Bavaria by MU member, Laurie Scott. It is remarkable for a number of reasons. It came at a time when official Union publications were still struggling to come to terms with the new forms of music challenging professional orthodoxies from the mid 1950s onwards. The few references to ‘beat groups’ were often in the form of critiques of their musical abilities by members of the Union’s ageing Secretariat. It also offered a rare international perspective from what was still a largely parochial organisation in a pre-globalisation age. Indeed, previous accounts of international musicians in the Union’s in-house magazine had concentrated on trips by officials to report on orchestral conditions and organisation in the USSR and Soviet Bloc countries. 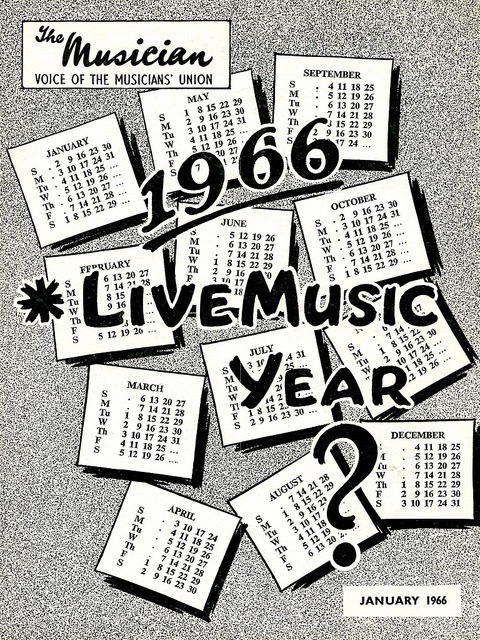 In addition to being musically and geographically unusual for the magazine, it also presents a fascinating picture of two intersecting musical phenomena in Continental Europe that have been largely written out of pop history – the (exiled) Indonesian rock’n’roll bands that toured in the early 1960s and some of the earliest forms of tribute acts. We reprint the text of the article in full below, specifically intrigued by the Beatles (Ind) of whom there appears to be little further written or photographic evidence. Even correspondence with foremost Beatles’ historian, Mark Lewisohn drew a blank, so if you know any more about them, please leave a comment! The Beat Scene in much of Southern Germany strikes the English visitor as slightly antiquated. For the previous year at home I had eaten, drank, slept, worked and played to Beatle accompaniment and unashamedly taken part in (and in some cases, instigated) various uninhibited excesses which were excused under the heading of Beatlemania. To arrive in a country where short hair seemed to be fashionable and where apparently Presley still reigned was quite a shock. I decided to investigate further and so one evening took myself down to Stuttgart’s Soho, “The Jungle”, and flashing my MU card in the face of a rather baffled doorman, bluffed my way in without any financial transaction taking place. I had note the name of the band was Rex and His Rockers and having grown accustomed to Stones, Animals and Searchers, this name, albeit felt slightly uneasy. Like saying Bunk Johnson to a Miles fan. My worst suspicions were confirmed on seeing the group – five perspiring, aspiring Elvises! With their long, wavy hair, pouting mouths and speckled silver suits, they resembled a shoal of extinct phosphorescent fish, caught in weeds of amplification wire. In fairness, their music was not too bad. The line up was as the Dave Clark 5, and if you could forget that you had never heard of the Beatles, it was not too hard to enjoy their sound. Numbers like Heartbreak Hotel and Dream Lover were a bit difficult to swallow, but at least this could be said to indicate the range of their repertoire. They were all in their early twenties and, after, talking to them in the interval, I discovered to my amazement that they were on a world tour and had gigs in just about any country you could mention. Their basic wage was around £20 per week plus a percentage of ‘the gate.’ The club was packed out when I was there so I imagine they take well over their basic amount. Rex and his Rockers hail from Indonesia as do other groups playing ‘The Jungle’ at present. These include the Black Eyes Twist Band, The Rolling Stars and the (Indonesian) Beatles. The last-named group are advertised all over town as THE BEATLES in four foot high letters with “(Ind)” crammed between in six inch letters! A lot of people (particularly the Americans, who seem particularly gullible in these matters) immediately went screaming off to the club expecting John, George, Paul and Ringo to be playing. But advertising paid off, because, although there is no admission charge, the minimum price per drink is about 15s. The group (five of them) sport long black hair and perform adequately. They know every number The Beatles have ever recorded and go through them all each night with varying degrees of success. 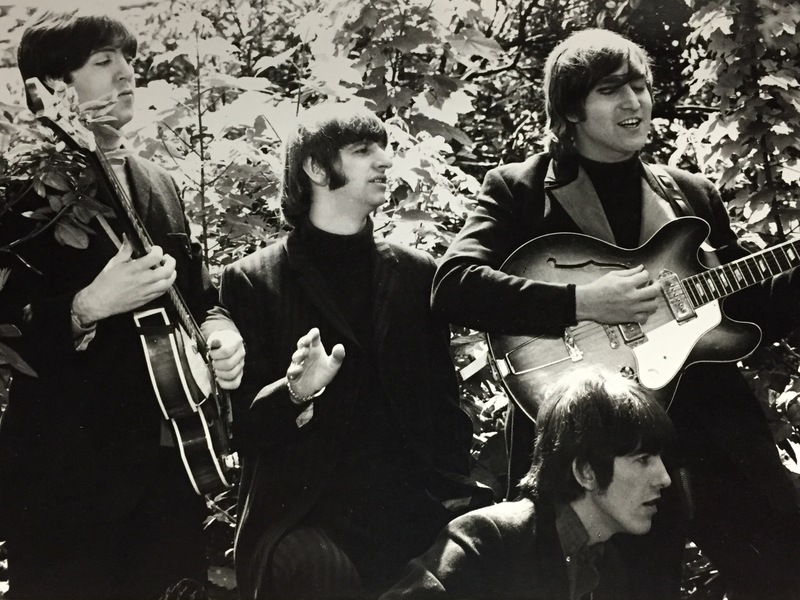 ‘Till There Was You,” sung by the leader, a small, wavy-haired guy looking more like a marmalade advertisement than a Beatle) was their best number. The worst number was without doubt ‘You Can’t Do That.’ They couldn’t. Still, they try hard and they enjoyed reasonable success – until recently! The film, A Hard Day’s Night came to town for a six week stay. This, I am told, niggled them no end, especially when the advertising hoarding (about the size of a house with enormous portraits of Messrs. Lennon, McCartney, Harrison and Starr) were placed next to their own. Beaten – or is it ‘Beatled’ – at their own game! That’s show biz, I suppose. The Beatles (not the Indonesian ones) are, of course, very popular in Germany, especially in the North, where they played in Hamburg a few years back and where some people claim the so-called ‘Liverpool sound’ originated. Others, including the Dave Clark 5 and The Stones have been well liked, and newer groups like The Animals, The Kinks and the Zombies have more recently become familiar. If a group like this can do well, there must be many that could do the same.